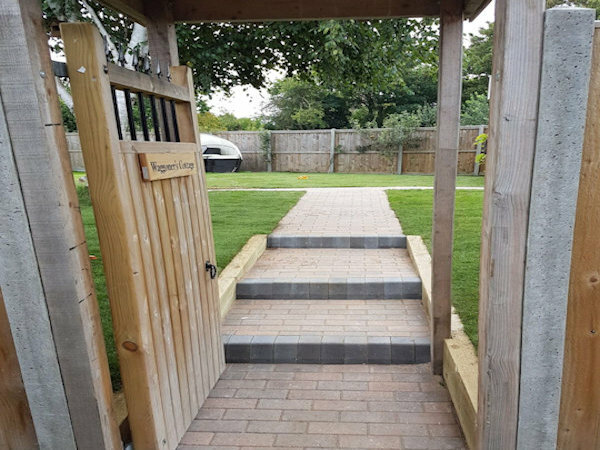 Both soft and hard landscaping work undertaken from digging boarders and cutting grass to a complete redesign for your garden to make the most of your outside space, including Low maintenance gardens or easy access gardens with raised planters for wheelchair access. 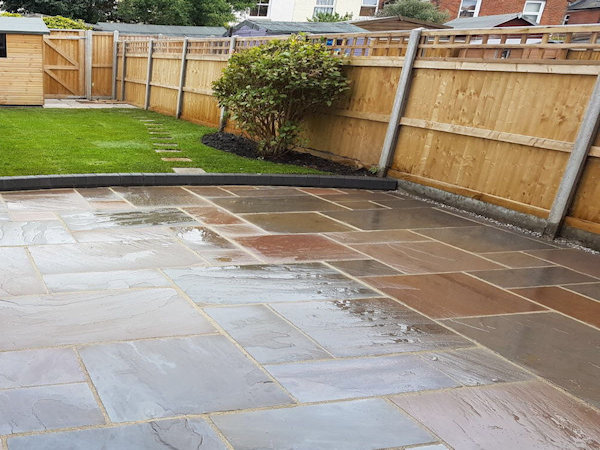 Whatever the design our aim is to give you the perfect garden. We can erect your decking in any location, with metal or wooden handrails and can also include low voltage L.E.D uplighting, the decking will be fitted with timber or concrete posts above the ground to ensure a long life for your decking. 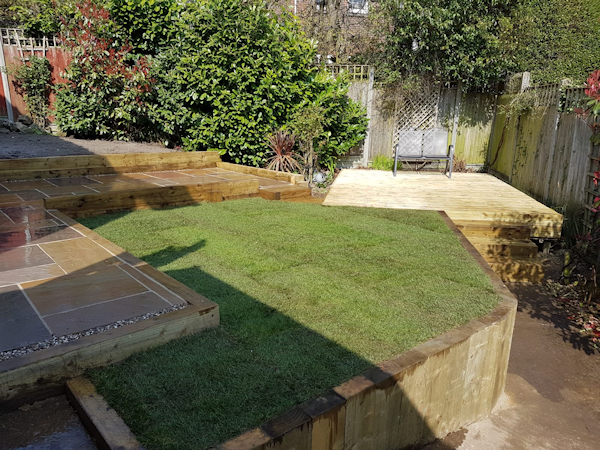 We use local grown quality Turf for your garden, all turf is layed on a prepared base to ensure your lawn looks perfect from day one.